So last night was Mexican night i.e. way too many margaritas, chips and salsa in one sitting, with salt overload might I add. The margarita glasses were rimmed in salt, the chips were swimming in salty goodness and our limes (for the tequila shots later on) were even coated in salt. Why, I don’t know? However, I didn’t beat myself up over it at all because I eat healthy every day, and had eaten “clean” all day long. What’s a little fun gonna do? That doesn’t make up for the fact that I felt like a huge bloated blob this morning when I woke up. 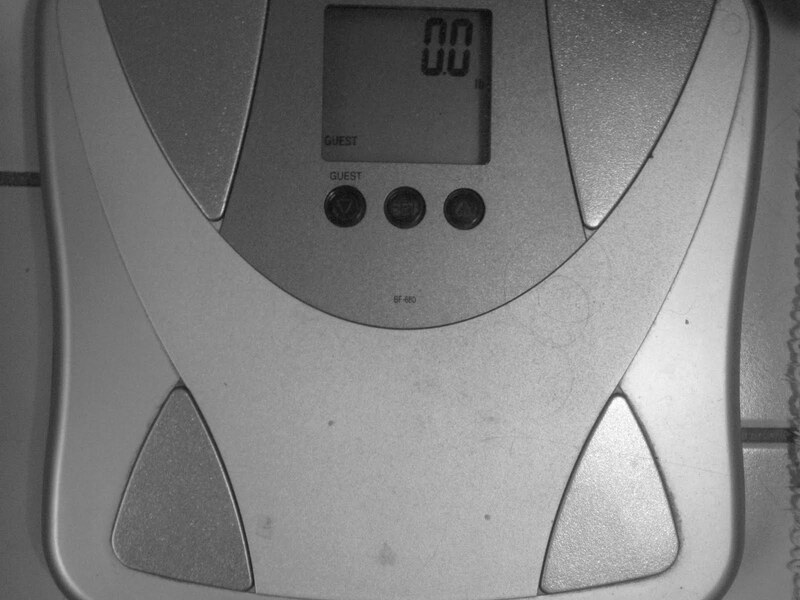 And, expectedly, when I stepped on the scale this morning I was two pounds more than I usually am. While two years ago I would’ve cried and beaten myself up over the fact that I “gained” two pounds in one day, I am a much wiser version of myself now. Instead of freaking out, I laughed and thought to myself, “Yep, that’s what salt will do to you.” Ladies, I’m only going to say this once: IT’S ONLY WATER WEIGHT. There is no possible way you can gain two pounds in one day, unless you literally ate lard for 24 hours straight (and even then you’d probably, um, poop it out). It’s amazing that it took me years to figure this out and to finally stop over-analyzing and obsessing over the damn number on the scale. I love that after all these years, I can finally be rational and happy about my weight. Yes, it’s going to go up and down. Yes, there will be days I feel “fatter” than others, and days I feel ultra skinny. However, what it comes down to is the way I feel in my own skin, how I fit in my clothes and the general healthy lifestyle that I live. I wish everyone could realize that when you lead a healthy lifestyle most of the time you are allowed little indulgences here and there, and they WON’T I repeat WON’T affect your overall goals and weight. So, simply put: enjoy life and stop freaking out about stupid numbers all the time. Instead, dive into that third margarita and know tomorrow will be a new day, and the number on the scale will go back to normal as well! I promise you that. I'm giving you a standing ovation. At least in my head and through the screen. 😉 Great post! More people need to recognize that so many factors affect the scale. It's not that reliable a tool to show progress, maintenance, whatever. #s like that mean diddly squat! I love this post! You hit all the right points! I used to be the same way. Even the slightest gain (why do scales even put decimal points is beyond me) would make me feel like a failure. Me, someone who has worked so hard and achieved so many things…felt like a failure over a .3 weight gain. So sad, but true. Like you, I'm so over that. I haven't weighed myself in months and I love love love what I see in the mirror.